It’s less than four weeks to Paris-Brest-Paris, a historic long-distance cycling event . My big dream of taking part is eventually coming true is year. I’ll be rider J208, trying to ride 1230km (769 miles) in less than 90 hours. I used the qualifiers and other long-distance rides to test and optimize my equipment. 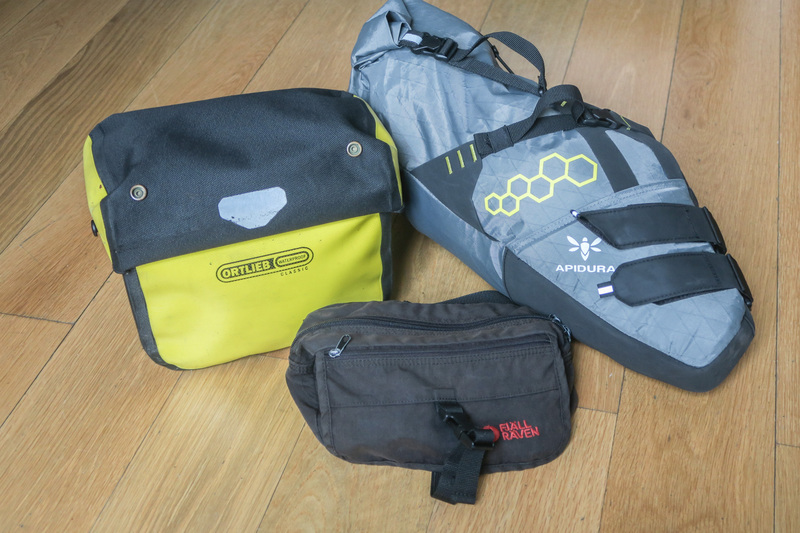 Other people’s kit lists proved also very helpful – in particular Marcus Jackon-Baker’s. Including bags, but excluding food, I’ll be hauling about 6 kilos of luggage across Brittany. Here’s a detailled outline of my kit. I’ll have three bags on the bike and most probably an additional bum bag. Total weight of the bags is 1.1 kg.